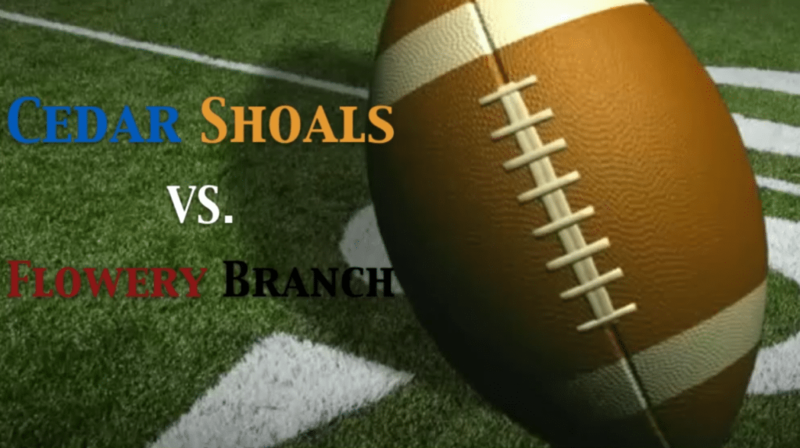 The Cedar Shoals Jaguars will be facing off against the Flowery Branch Falcons tomorrow night. The team did come up short last year when they played against Flowery Branch losing 25-13. Cedar Shoals is recovering from a tough loss last week as well, against their rival Clarke Central, but Coach Ryals is optimistic about going up against their opponent tomorrow. Cedar Shoals is 3-2 overall right now. The game will be at Flowery Branch High School and will begin at 7:00 pm. Will Salem Stop Cedar Shoals’ Winning Streak? Reporter Jake Stevens talks about what games to look out for tomorrow night.